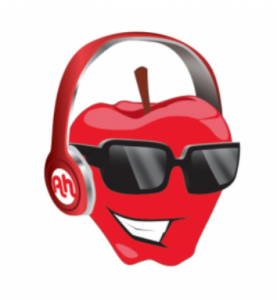 DJ Applehead: Matthew “Applehead” Quintana was born and raised on Long Island, New York. While at an audition for the HBO cable television show The Soprano’s, Matthew came across a man in line who after hours of waiting for their turn, Joseph Errico suggested that he come and work at his full-service entertainment company based in Coram, Long Island. It was in the early 2000’s, Matthew began working regularly with one of Long Island foremost DJ/Entertainment Services. Events ranged from Weddings to Bar/Bat mitzvahs to corporate events for Automobile Companies and everything in between. While working for this company of nearly four years Matthew enjoyed working at venues ranged from catering halls on the North Shore of Long Island, backyard weddings in the Hamptons and to Manhattan hotels until his move to South Florida in 2004. Matthew has entertained events in venues across Florida from Ocala to the Keys Largo, Naples, to Key Biscayne. It is with his 20 years of performance experience including the stage (performing directing/assistant directing, and other behind the scenes work) that he looks forward to seeing a final product come from a discussion or an idea. Today, as Dj or MC, an Event Consultant, and President of Marketing for one of the most talented and growing companies in the industry, White Tie Affairs, Matthew’s dedication will continue to thrive. He will ensure that all details of the event are made and every party is a memorable success. Book a consultation today for your next event, so we can make your vision an unforgettable experience for you and your guests. So let us supercharge your next party or wedding reception. We’re known for our expertise as South Florida wedding DJs and for awesome parties of all types.